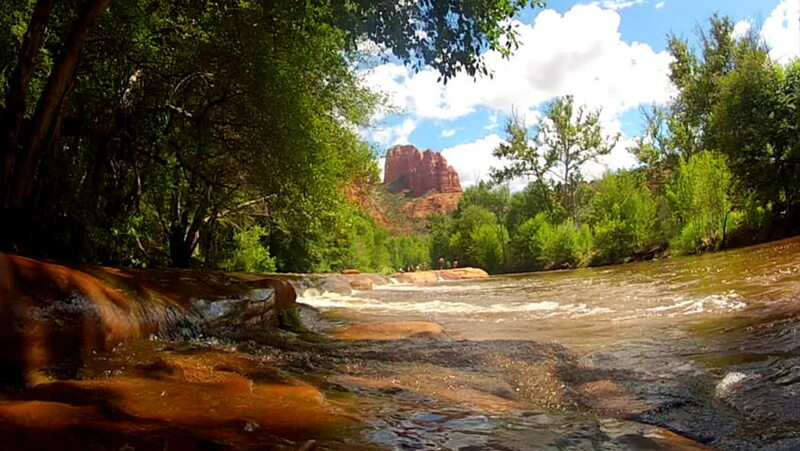 Wide shot of Cathedral Rock above Oak Creek in Sedona, Arizona. A running creek gives a tranquil and peaceful natural view of a Southwestern scene. 4k00:07Fast mountain river with banks overgrown with wild rainforest. Fresh current with rocky bed running among dense jungle on sunny day. Video with sound of stream bubbling. North Sumatra, Indonesia.